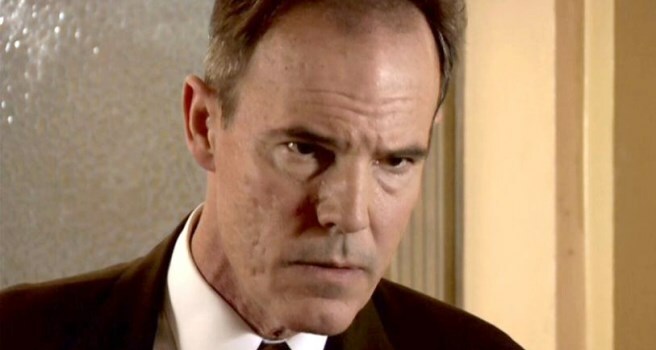 Mr. Divoff you’ve actually have been in 60 some odd movies, but a lot of people know you from your Wishmaster movies, would you like to talk a little bit about some of your other movies you’ve done? Yea as a matter of fact, I just went over 51 on the IMDB. I know there’s probably a few things missing there. But sometimes people ask, you know, if I had to give them one film which one would I tell them to watch, and I can’t do that, so I usually say there are three of my favorites; one of course which is “Another 48 hours”, the other is of course “Wishmaster”, and then there’s one called “Deadly Voyage”. It’s pretty hard to find and it was a movie that we filmed over in Africa about a true story. Basically, it’s kind of called, “Die Hard on a ship”. It’s about these stowaways who were one by one hunted down on the ship and simarly thrown into the Atlantic. I played a guy named Roma Shanko. And he’s the guy that when they finally arrested the gentlemen who was responsible for all this, he was the one who took the police around for the forensic explanation of what happened where. I guess that’s about it, “Another 48 hours, “Wishmaster”, and this film called, “Deadly Voyage” are ones that, you know, I’d say, if you wanted to know a little more about my career, check those out. You know actually one of the movies that I usually I don’t hear mentioned when your name is brought up, but is actually one of my all time favorites is “Running Cool”, now in that film Mr. Divoff, you play a biker . Do you actually ride now a days? Yea, you know I, I started riding for “Another 48 hours”. As a matter of fact, when I went in to do my interview for that, I remember the casting director asking me if I rode a Chopper. She didn’t quite understand that the Harley World and the fact that a Chopper is a different thing from what you might ride everyday. But there’s a place called “Bartells”, and thank god for those guys, there was a guy who sort of put me on a bike. I trained and I got to keep that bike for 6 months. Then the bike that I got in “Another 48 hours”, myself and David Anthony Marshall ended up buying them. I actually ended up having that bike for a while. The guy who wrangled the bikes took them to another show stone cold with Boz, and that same guy, the wrangler, stole the bikes from that show. And so we were kinda out in the cold. But yea, Long story short, I do ride. “Running Cool” was a good movie. You know, it showed the other side, everybody sort of said “Another 48 hours” was the so-called 1 percenter of the bikers, and that’s how they are. And then you know, really I mean, I would say most of them are like Bone in “Running Cool”, who, you know, went out of their way – this was kind of about doing a run to save the wetlands, and you can see that he had a heart. It’s funny you bring that up, I really haven’t heard that a whole lot. One of the other characters that you play quite a bit in your movies are actually Russian inpiduals, now I’ve noticed that you also speak and write fluently eight different languages, and that’s absolutely amazing. Can you name off some of those languages you speak and how they’ve actually helped out your acting career?